INX is a celebration of the entrepreneurial spirit. Indiana is ranked #4 for Quality of Life, #1 for our Regulatory Environment, #2 for Software Job Growth, and #10 Best Places to do Business. We are also #5 for Direct Foreign Investment. Indianapolis is ranked #3 for Tech Jobs for Women, and Central Indiana is home to 4 of the top 25 Best Places to Live in America, which includes the #1 ranking, Fishers. This is only the beginning of the story, for there is much more to share. To put it simply: INX is a Hoosier cultural symbiosis, designed to celebrate entrepreneurs. The word, "entrepreneur", from the french entreprendre, meaning: to undertake. INX celebrates the entrepreneur, those inspired visionaries: those who take risks. INX is a convergence of possibility. Many partnering organizations come together to make it happen. We are a capstone event for early-stage companies to share their story from the INX stage, including the Venture Club of Indianas annual Innovation Showcase. 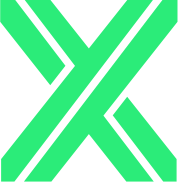 INX is where entrepreneurs, venture capitalists, and the ecosystem that supports growth gathers to inspire, innovate, and invest in the ideas that will transform tomorrow.